Rama Navami Celebrations this Sunday! ~ The Toronto Hare Krishna Temple! Rama Navami Celebrations this Sunday! 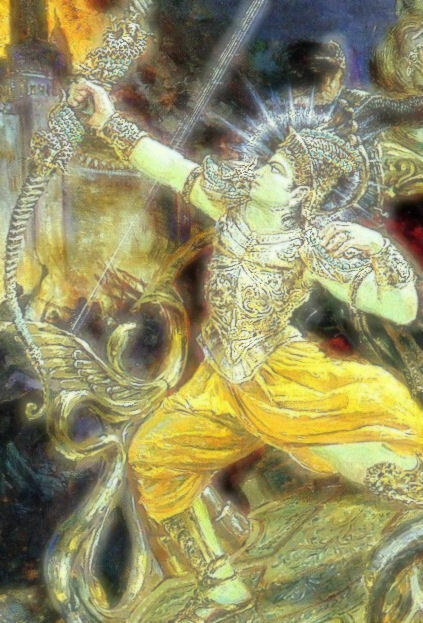 Next Tuesday marks the appearance day of Lord Ramachandra. Lord Ramachandra, an incarnation of Lord Krishna, embodies the perfect example of how to perform our duties as the greatest king. In the famous Ramayana, it is described how He defeated the evil king of Lanka, Ravana, to save His pious wife, Sita. 7:25pm to 7:45pm - Special Interactive Children's Activity! We extend a warm invitation to all the children of our community to join us for the celebrations as they will be participating in a surprise activity! Hare Krishna!